Yanmar Diesel engines are renowned as one of the world's leading engine technologies, with more than 100 years of company history. So for mining and civil works applications, a Yanmar powered Mine Spec generator is a great fit, delivering first class reliability and longevity. 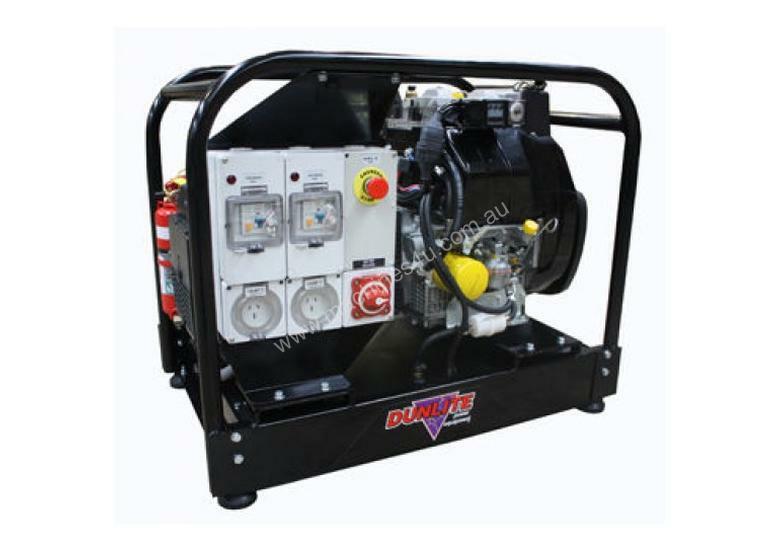 Coupled with an Italian Made NSM alternator, robust framing, weatherproof outlets, battery isolator switch, lockable RCD switches and detachable fire extinguisher, this generator is one of the first choices for any mine site.Peaking at 6.8kVA of power and 5400 watts rated power, you can get 21 hours of continuous run time at 80% load thanks to it's 36 litre tank.Fitted with all the necessary safety features, you can also add in a heavy-duty wheel kit for easy movement around the site. Complete with a two year warranty and national service network for your peace of mind. MINE SPEC FEATURESDetachable fire extinguisherBattery Isolator switchIndividual lockable RCD switches15amp weatherproof outletsEmergency stop buttonBunded fuel tank with lockable capCentre point lifting barRRP: $8,601Save $1,202 (14%) off RRPContinuous Output5400 wattsAlternator TypeNSMEngineYanmar L100N5TypeDiesel Engine, 8.8 HorespowerStarting MethodElectricFuel Tank Capacity36 LCont. Working Time21hrs 80% loadProduct Dimensions (mm) LxWxH876x546x700 (L x W x H)Net Weight (kg)160.0 KgFuelDieselOutlets2 x 15Amp weatherproof outletsNOTEThis is a portable air-cooled petrol generator designed for short term/standby applications. For prime/continuous power, a stationary water-cooled diesel generator is recommended.